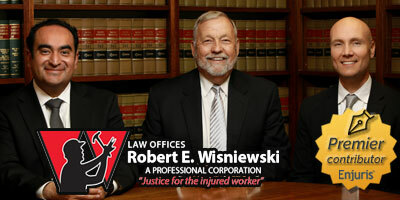 Where to File Your Personal Injury Lawsuit in Arizona? In Arizona, there are three court systems where you might file your lawsuit: justice of the peace courts, state-level superior courts and federal court. In this article, we explore these court systems and the circumstances that might lead you to file your lawsuit there. So you’ve made the decision to file a personal injury lawsuit. What now? The legal process can seem daunting, especially if you don’t know where to begin. The overwhelming majority of personal injury cases are filed in the superior court of the county where the injury occurred or where the defendant lives. However, in some instances, your lawsuit might be filed in one of the other two courts. Overview of the Arizona court system. Source: Court Statistics Project, 2018. Let’s take a closer look at each court system and the circumstances that might lead you to file your lawsuit there. Enjuris tip: Read more about Arizona personal injury claims from beginning to end. Arizona justice of the peace courts have limited jurisdiction. This means that the courts only have the power to hear certain types of cases. These cases include traffic violations, civil protection orders, domestic restraining orders, and tort cases where the amount of claimed damages doesn’t exceed $10,000. In Arizona, there are 88 justice of the peace courts (each in a different precinct). Each court has a small claims division. The small claims division hears cases where the amount of damages claimed doesn’t exceed $3,500. In the small claims division, the rules of the court are “relaxed” so the parties don’t need to hire attorneys. For example, the formal rules of procedure don’t apply. Additionally, you have no right to a jury trial and no right to appeal the decision. Finally, you’re not even allowed to be represented by an attorney in a small claims action unless both parties agree to the use of attorneys. In Arizona, small claims courts hear cases where the damages don’t exceed $3,500. Each county in Arizona has at least 1 superior court and that court is referred to by its county location (e.g., the Maricopa County Superior Court). Superior courts hear the widest variety of cases, including criminal and civil cases. The vast majority of personal injury lawsuits are filed in superior court. In order to file your personal injury lawsuit in superior court, the damages you’re claiming must be at least $1,000 (otherwise you have to file your claim in a justice of the peace court). There is, however, no cap to the amount of damages you can claim. In other words, even if you’re claiming $30 million dollars in damages, you can still file your lawsuit in superior court. Enjuris tip: Each county has a superior court clerk elected to a 4-year term. The clerk maintains court case files and collects fees. While the clerk can’t give you legal advice, the clerk will often provide instructions for physically (or electronically) filing your lawsuit. Locate the contact information for the clerk by accessing the appropriate superior court website. The case in controversy (the total amount of damages claimed) is more than $75,000. Keep in mind that just because your case can be filed in federal court doesn’t mean it has to be filed there. You can chose instead to file in state court, though the opposing party might try to “remove” your case to federal court. There are advantages and disadvantages to filing in federal court and an experienced Arizona attorney can walk you through them. The Arizona Court of Appeals is divided into two divisions. You won’t file your lawsuit in an appellate court. Rather, the appellate courts have authority to review decisions from the superior court. In other words, if you don’t like the decision you receive in superior court, you can file an appeal in the appellate court. You can also appeal a decision from the court of appeals. To do so, you must file a petition for review by the Arizona Supreme Court. Unlike the court of appeals, the Arizona Supreme Court isn’t required to hear every appeal. Venue: In which county should you file your Arizona injury claim? Once you’ve figured out the appropriate court system, you’ll need to decide the proper venue. The term “venue” refers to the geographic location of the court. In other words, you may decide you need to file your case in superior court because the damages claimed are more than $10,000 and there’s no federal question or complete diversity. But in which county do you file your lawsuit? Let’s say you’re involved in an accident in Maricopa County with a driver who ran a red light. You live in Pinal County and the defendant lives in Graham County. You’re injured in the accident and are claiming damages in the amount of $20,000. In the above scenario, you could either file your lawsuit in the Superior Court of Maricopa County (where the accident occurred) or the Superior Court of Graham County (where the defendant lives). You can’t file your lawsuit in a justice of the peace court (your damages are too high) or a federal court (you don’t have complete diversity and no federal laws were violated). A plaintiff also can’t file where they live, unless the accident occurred there or the defendant also lives there. The Arizona venue rules (and the venue rules of all states) are concerned with making sure the defendant doesn't get dragged across the country by the plaintiff. So, you can only sue where the defendant lives or where the accident occurred — the reasoning being that the defendant has "availed" himself or herself to the county where the accident occurred and can reasonably be expected to be sued there. Remember, the deadline for filing a personal injury lawsuit in Arizona is generally 2 years. If you don’t file and serve the defendant within 2 years of the accident, you won’t recover any damages. To make sure you file timely and in the right court, consider contacting an Arizona personal injury attorney. Enjuris tip: For more information on Arizona courts, including contact information, visit the Azcourts.gov webpage.